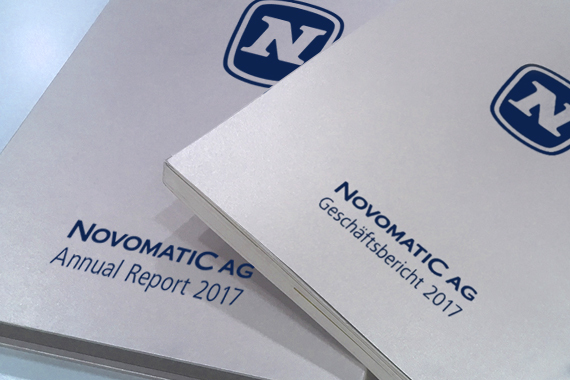 The Investor Relations department of NOVOMATIC AG is the main source for publishing financial information of the NOVOMATIC AG Group. Besides fulfilling all regulatory reporting requirements our goal is to establish a regular contact with investors, analysts and financial media and provide them with all relevant information in order to achieve a transparent financial communication strategy. Here you can find our most important facts & figures. Here you can find our financial- and semi-annual financial reports. The NOVOMATIC AG is frequent issuer on the Vienna Stock Exchange. Here you can find more information about our current bonds. NOVOMATIC AG: Standard & Poor's assessment with investment grade rating of 'BBB-', Outlook Stable.